In the future, the solutions developed through this partnership will be rolled out to other Volkswagen Group brands in all regions of the world, building the foundation for all customer-centric services of the brands. This includes the Volkswagen ID. electric family as well as conventionally-powered models. The end goal is a future fleet of cars which will behave as mobile ‘internet of things’ hubs, linked by Microsoft Azure. As part of the partnership, Volkswagen will establish a new automotive cloud development office in the US, close to Microsoft’s headquarters in Redmond. Microsoft will provide hands-on support to Volkswagen as it ramps up its new office, including assistance in the hiring process, human resources management, and consulting services. The workforce is expected to reach around 300 engineers in the near future. 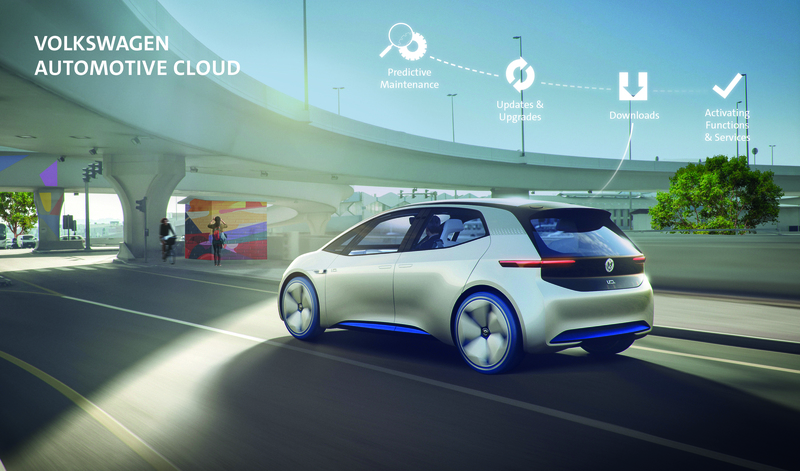 In addition, Volkswagen developers and engineers will be able to benefit from Microsoft’s cloud expertise across its organisation, learning valuable insights through collaboration, while ensuring that the development process remains agile. Ultimately, this new partnership will help Volkswagen transform itself into a software-driven company which can directly connect with its consumers and customers, offering various services in multiple ways. From pushing out software updates directly to vehicles to provide new functionality, or allowing customers to purchase services via their cars or mobile apps, this transformation ushers in a new era for Volkswagen Group’s 12 brands and 640,000 global employees. Dee Templeton, Microsoft’s product lead on the partnership, states that “We want to help Volkswagen meet its bold ambitions for its future, and what we can offer is pretty unique in terms of showing them how Microsoft transformed its own culture and how we have embraced transformation holistically. It’s not just about software. Leveraging our expertise and our decades-old heritage in developing software from the bottom up is another reason partnering with Microsoft was so important to them.